Let's be honest, our Dad's play an influential role in shaping our life, from a very young age. Subtly, influencing our personalities & steadily weathering our moods & emotions as we grow older. I know my childhood & adolescence was puntuated by my Dad's final say. 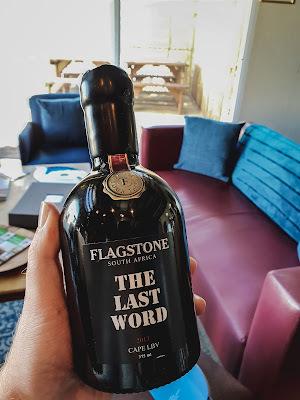 On my recent #WineRoutingWithLloyd trip, I discovered Flagstone's Last Word Fortified Wine. And what a perfect fit. And it's only now that I realised that this would make a spirited geture & gift for Father's Day; and here is why. A warm rub-red colour. Spicy. Toasty Oak Notes & Dark Fruit Bouquets. A Sweet Eccentricity with a Gentleman's demeanour. The Last Word just has a real 'Dad' feel to it. 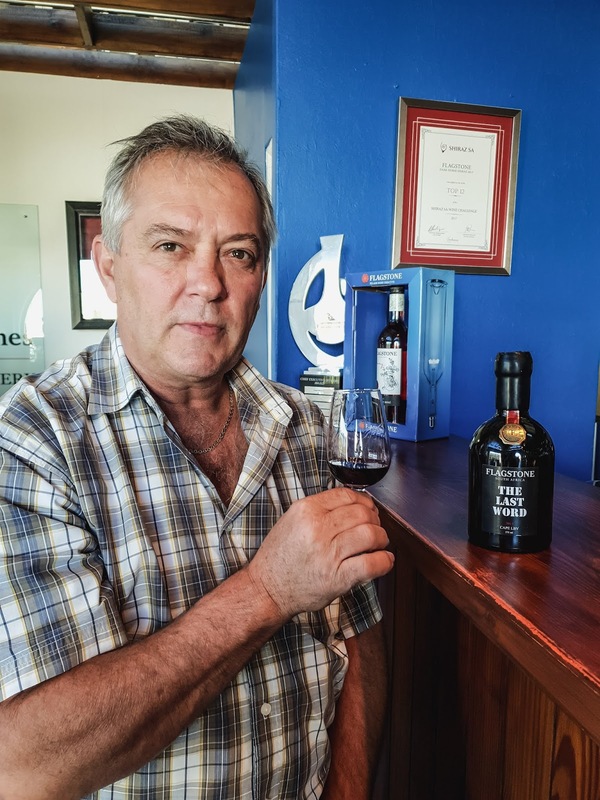 I even got to share a glass of this beautiful wine with my Father at Flagstone Wines! How wonderfully everything comes together. A bright red sapphire colour on the edges, flowing into a dark & intense ruby red. With aromas of ripe, dark red fruit, cocoa & toasty vanilla. Wrapped in a warm, spicy oak flavours of cinnamon & nutmeg. In your mouth you get sweet red berries & dried apricots & peaches, whilst the sweet plum fruit compote lingers & ends off with a comforting warm sensation. Imagine this with some chocolate covered figs, fresh biscotti & Gorgonzola cheese. Sounds delightful now doesn't it? And guess what? I've got 2 bottles of this beauty to give away for Father's Day so that you can let your Dad have the Last Word too. 1. Like As Seen By Lloyd & Flagstone Wines on Facebook or Follow @Lloydi_Boy & @FlagstoneWines on Twitter. 2. Repost the competition Post on Facebook or Retweet the competition Tweet on Twitter. Remember to include the #FlagstoneLastWord in your post/tweet. 3. Tag 2 friends in your post who you think should share a bottle of Flagstone's Last Word with their Dad. NB. Remember, you have to include the #FlagstoneLastWord, otherwise your entry is not valid & can not be counted.